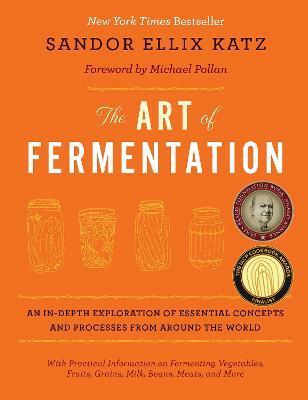 While Katz expertly contextualizes fermentation in terms of biological and cultural evolution, health and nutrition, and even economics, this is primarily a compendium of practical information--how the processes work; parameters for safety; techniques for effective preservation; troubleshooting; and more. Readers will find detailed information on fermenting vegetables; sugars into alcohol (meads, wines, and ciders); sour tonic beverages; milk; grains and starchy tubers; beers (and other grain-based alcoholic beverages); beans; seeds; nuts; fish; meat; and eggs, as well as growing mold cultures, using fermentation in agriculture, art, and energy production, and considerations for commercial enterprises. Sandor Katz has introduced what will undoubtedly remain a classic in food literature, and is the first--and only--of its kind.